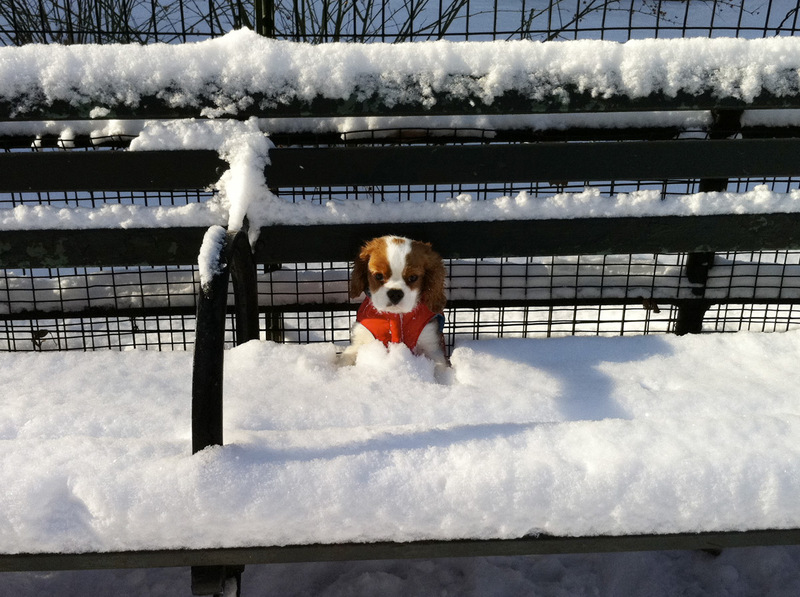 Let it snow, let us go, pick it up! Oh yes… Happy New Year! Geepees! We sure had lot of snow! And it looks like there’s more coming. I love snow. 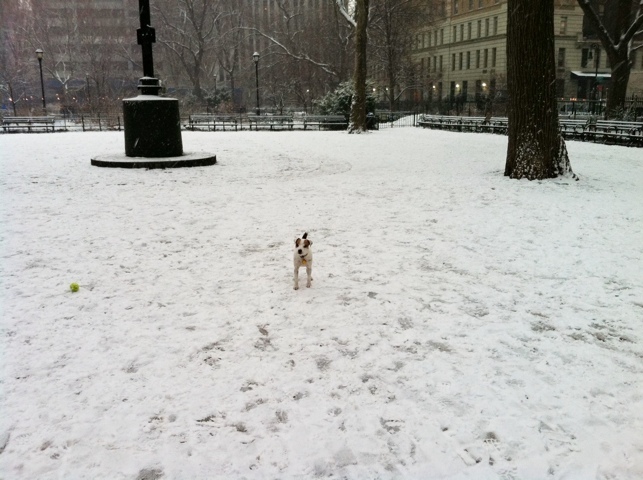 It’s so much fun when it’s newly and white, and just a bit packed down by paws and feet. My blue ball is so easy to find! 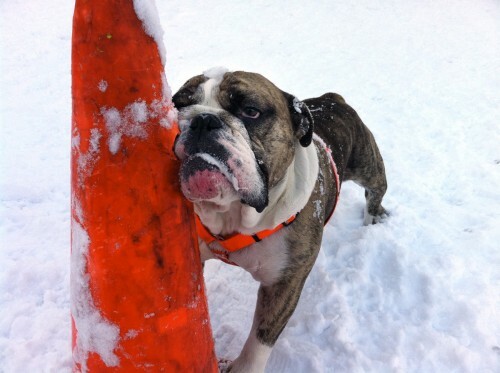 I’ve been wondering about something though: why do some humans think it’s ok to not pick up our poop when there’s snow? Do they think it will just get disappeared on its own? Trixie’s dad was saying to my dad how it’s almost the easiest thing in the world to pick up poop in the snow. You can always pick up a bit of extra snow with the poop, kinda like that gravel in Union Square. Who cares if you throw a bit of extra snow in the garbage? We had a few really great days in the run after the Christmastime snow, but it wasn’t long before it started to get watery and full of poop. Yecch! It was almost ready to turn into an epidermic of diseases, but then it got all freezy frozen, and the poop got hard and harmless. Well… I thought it was harmless, but my friend Rex has started to think the frozen poops are a kind of treat. Poopsicles? It’s driving his dad crazy keeping him away from them. I hope those humans will figure it out soon. I HATE it when my ball lands in poop. Frickadoodles! 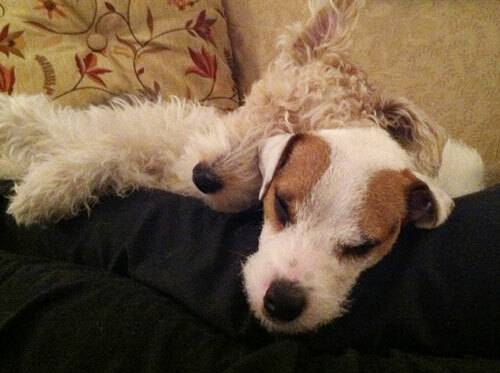 On another note, a big bark-out to Mona (here we are, asleep on uncle Simon’s legs) who just got spayded. I hope you don’t think to muchly about it. You’re going to be fine. I love you. OK… gotta go. Dad’s got my chicken ready!